For this show we are offering 20 VIP tickets, which includes cabaret seats on the front rows and a pre-show Meet & Greet with Mike. Please call Crazy Coqs Box Office on 0207 734 4888 if you would like to purchase a VIP ticket. Tickets will be allocated on a first come, first served basis. 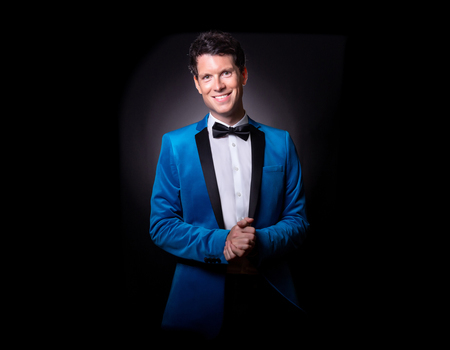 Following a sold-out debut in October 2018, Mike Christie returns to Crazy Coqs to present another evening of well-known classics including Gershwin, Elton John, Bob Dylan, Flanders & Swann, Rodgers & Hammerstein and many more. Mike will showcase the diversity of his voice from his deep bass-baritone of Ol' Man River to the lighter singer-songwriter tones of his self-penned songs. Mike shot to fame as a member of G4 on the very first series of ITV's The X Factor, having studied singing and piano at the Guildhall School in London. He has performed in musicals in the West End, pantomimes and numerous operatic roles.